I'm still trying to get a hold of this blogging regularly thing. Obviously, we're eating every day, but sometimes, it's such a busy day that I don't go into my cookbooks, and instead, make the easy as all get out kielbasa skillet. Sometimes, I throw a bunch of hot dogs in a pot of water. Sometimes, it's a pizza. All that to say, I will get this blog on a more regular schedule, and I'll stick to the plan I make for what's being made when. 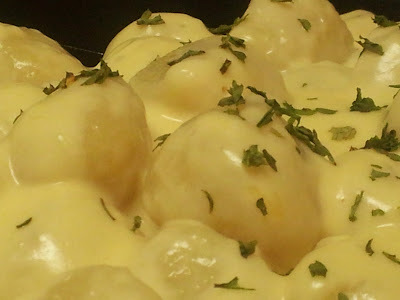 What happened last week, the week of the glorious gnocchi, is that a lot of the recipes in that great cookbook had weird, expensive ingredients, and others were just a level of difficulty I couldn't handle, working 8 to 5 and then coming home and making dinner. 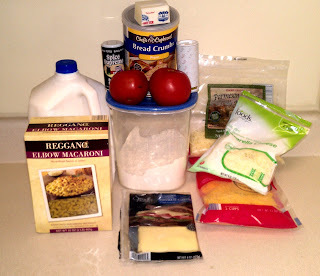 The second recipe for this week was a spaghetti dish that. . .looked easy. Way, way too easy, especially after I cheated on the gnocchi. So I didn't make that. On to a new cookbook this week, and it's a Rachael Ray cookbook, and I know a lot of people can't stand her, but she makes for pretty easy recipes. Hopefully, I'll get everything on track soon. Thanks for sticking with me! You guys. . .I cheated. 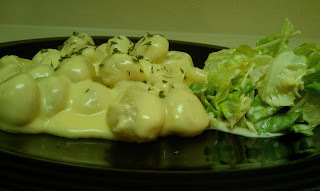 The recipe that I'm going to be posting here has almost nothing to do with the actual recipe presented in the cookbook. The recipe in the book gives you the ingredients and instructions on how to make your own gnocchi, which is basically a type of dumpling. This cookbooks has a lot of really complicated recipes with a lot of really complicated ingredients, so I was looking for something that I could do during the week (or on a Sunday evening in this case). I'd remembered seeing gnocchi at Trader Joe's, so I went ahead and bought it pre-made. I realize that this is massively cheating, but what can you do? It looked weird on a plate by itself, so the picture you'll see is of the gnocchi and the Caesar Salad I made a few weeks back. 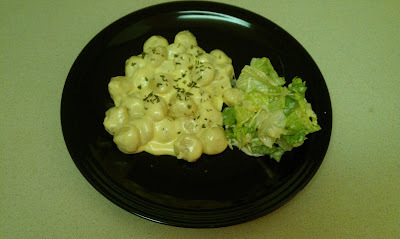 The combination was delicious, and so flavorful, and one of these days, I'm going to have to make my own gnocchi and see if it comes out as well. Prepare the gnocchi and stop judging me. Heat the cream over medium heat and mix in cheese, stirring constantly until cheese melts. Toss sauce with prepared gnocchi. Make a salad. Eat all that and be amazed by how something so simple can be so ridiculously delicious. 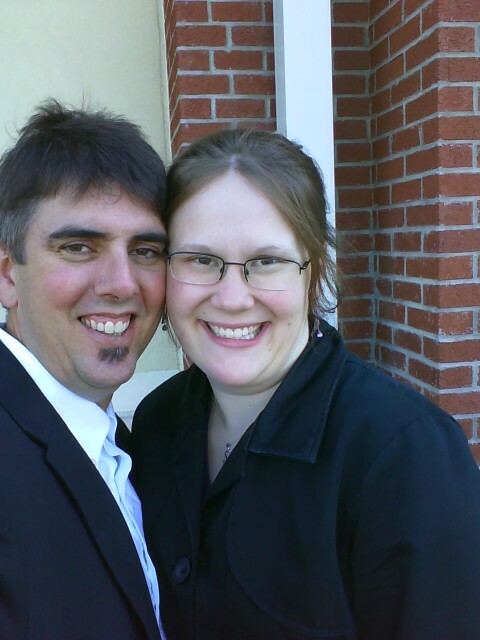 Today is an anniversary -- it is the anniversary of the first time my husband asked me to marry him. We'd been having the getting married conversation off-handedly for a while, and so when he asked me on a Saturday morning, I was just like, "Yeah, OK, whatever. I'll answer you eventually." By the time I figured out it was an actual asking, it was all awkward and weird and I couldn't answer. Then we went to the State Fair, and I was going to be all cute and give him the answer when we got to the top of the ferris wheel. Except. . .they put this teenaged couple in the cart with us, so that was awkward, too. Then, the Monday after the Saturday he asked the first time, we had lunch at Jimmy John's, and over a BLT, he asked again. That time, I knew what was going on, and said yes. Incidentally, I had to look through almost 400 photos to find this one, which we took outside the JJ's after the Official Proposal. It's mind-blowing how much younger I look in that picture. Anyway, to tie that in with the recipe. . .that's the guy that I'm now making homemade mac and cheese for, sans facial hair. I didn't use the same 4 cheeses Katie Lee Joel used, but I did use 4 cheeses, and this made enough for two dinners and a lunch. Preheat oven to 375°F. Prepare the macaroni as indicated on package. Drain well. In a large pan, melt 4 Tbl. of the butter over medium-low heat. Add the flour and cook about 1 minute, stirring with a whisk. Whisk in the milk and cook until thickened. 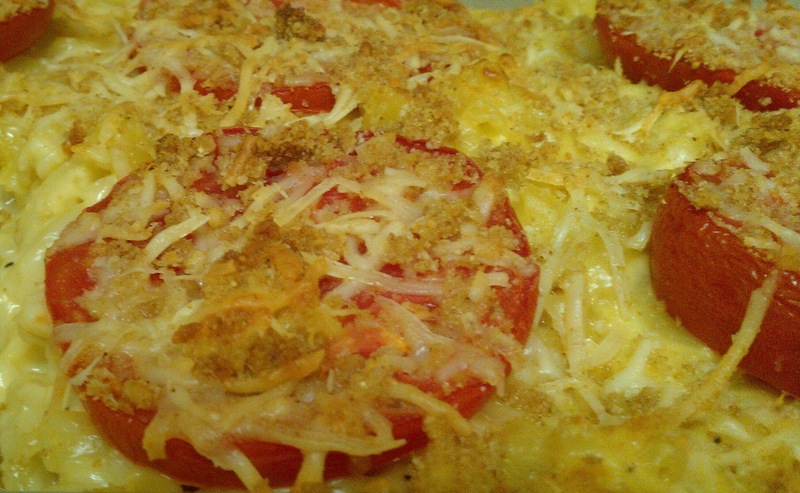 Slice tomatoes and arrange on top of mixture. 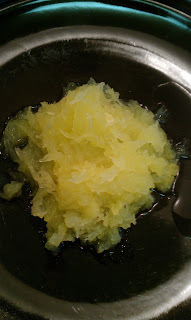 In another bowl, melt the remaining butter and mix with bread crumbs and Parmeasan. Sprinkle this mixture over the top of the dish and bake for 30 minutes. Serve immediately. I don't know if you've noticed, but it's fall, and when it's fall, food blogs absolutely EXPLODE with pumpkin recipes. These happened more by accident than careful planning. 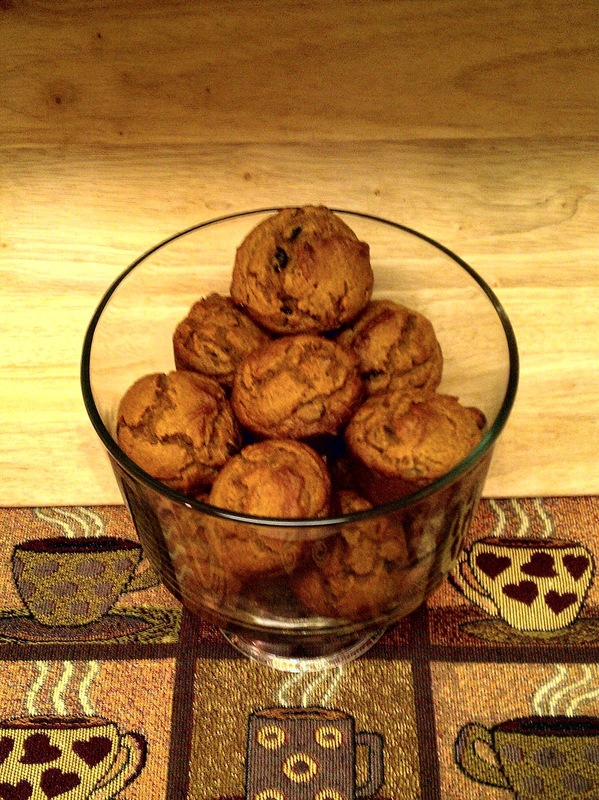 I picked Katie Lee Joel's The Comfort Table and while going through it, looking for things to make this week, I came across her recipe for Pumpkin Muffins, and I realized I had everything already in the kitchen to make these. 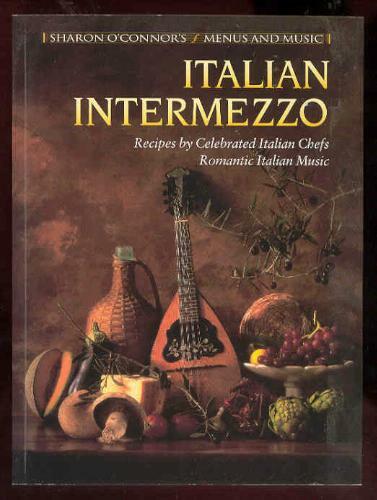 The recipes in this book look good, but nothing to really write home about. I have to wonder if this book would have been a thing if the author hadn't, at one time, been married to Billy Joel. On to the muffins. . . When I started making these, looking at the picture in the book, they didn't look. . .awesome. The ones in the book were those kind of flat muffins that look more like cupcakes than something you'd have with a cup of coffee for breakfast. But the ones I pulled out of my oven were tall and texturous (is that a word?) and delicious. 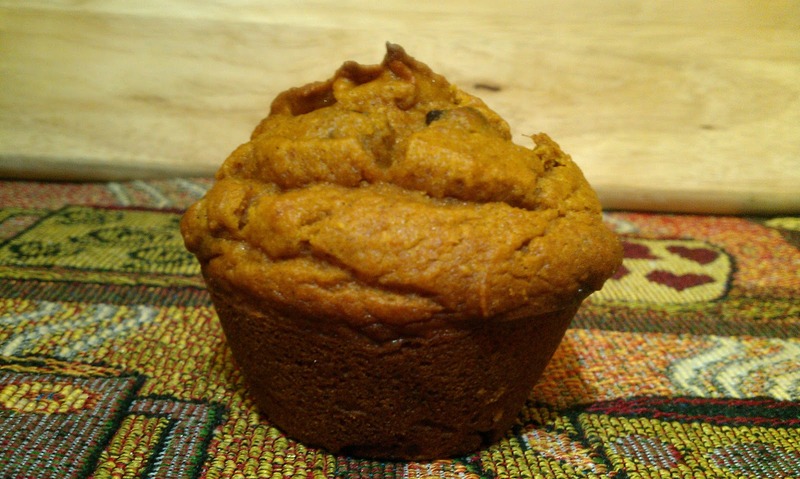 Legitimately, one of the best muffins I've ever tried. 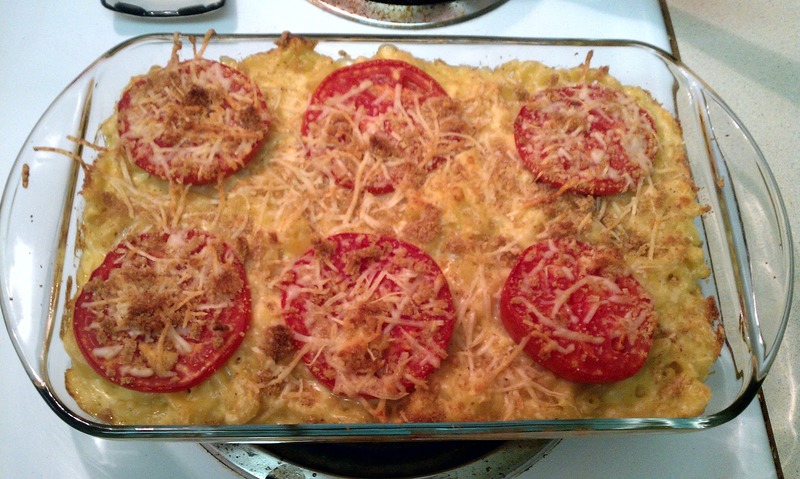 I made a couple of changes to the recipe (of course). First of all, I added chocolate chips. The original recipe was strictly pumpkin, but I'd just picked up some chocolate chips "just in case," and decided to throw some of those in as well. They made all the difference. Secondly, the recipe called for 2 cups of sugar. That seemed excessive to me (although when I asked Dennis how much sugar was average for muffins, he said, "I don't know. Two or three?" so what do I know? Anyway, I put 1 cup of sugar and 1 cup of Splenda in the batter, and they turned out awesomely. Preheat oven to 350°F. Grease a 12-cup muffin tin. 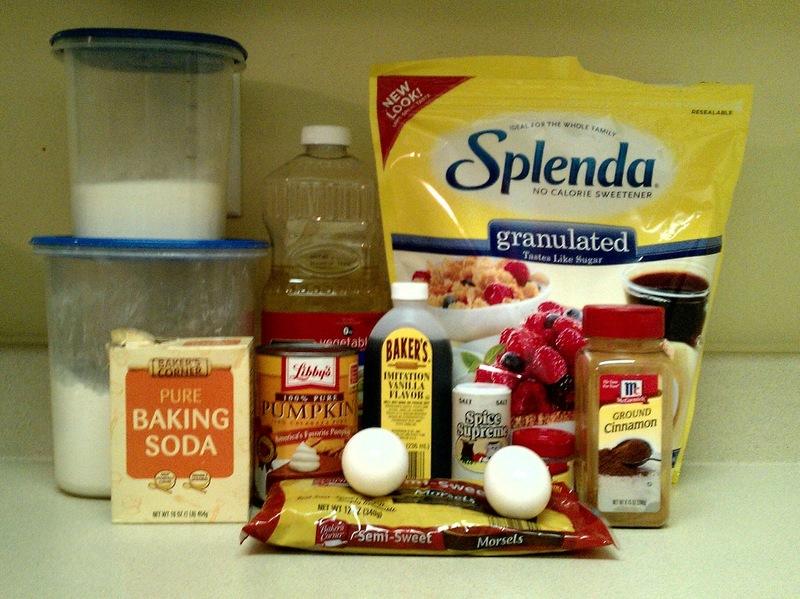 In a small bowl, combine the flour, baking soda, cinnamon, nutmeg, and salt. In a medium bowl, beat together sugar, oil, eggs, and vanilla. Add pumpkin and mix well. Add the dry ingredients and stir until combined. I decided to put the diabetic cookbook out of its misery. I'm not really into cooking things I don't like, and I couldn't find anything I was excited about making. 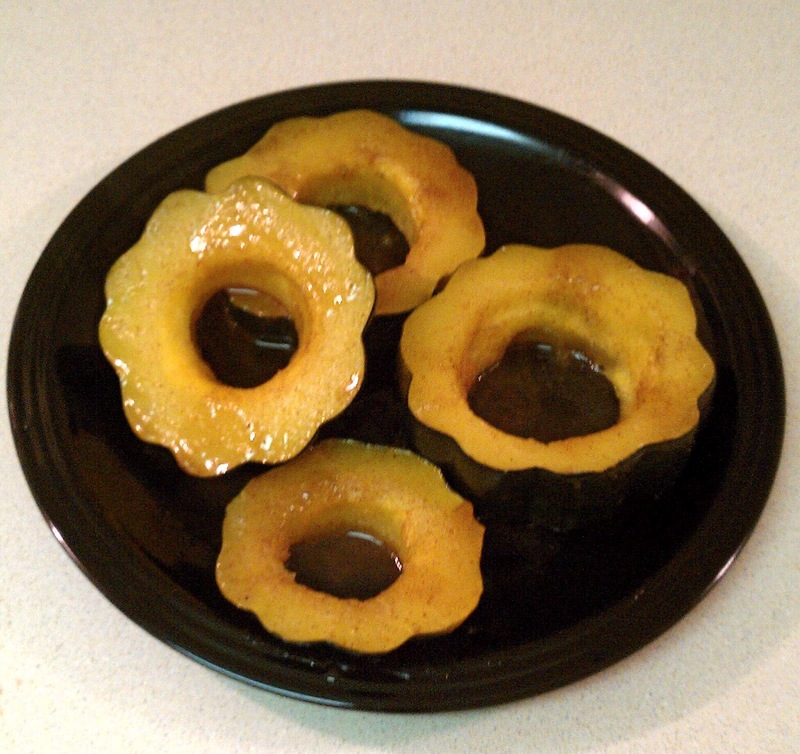 So with a pseudo-primavera and an awesome squash thing, I leave diabetic cooking behind. For now, at least. The good news is, this week brings a new cookbook! I'm hoping this one will be more successful. And, because two bookshelves of cookbook apparently is not enough, I bought three more at the used bookstore today. Can't wait! You guys? This cookbook is difficult. I have tried so hard with this thing﻿, and I feel badly, because it was a gift, but man. 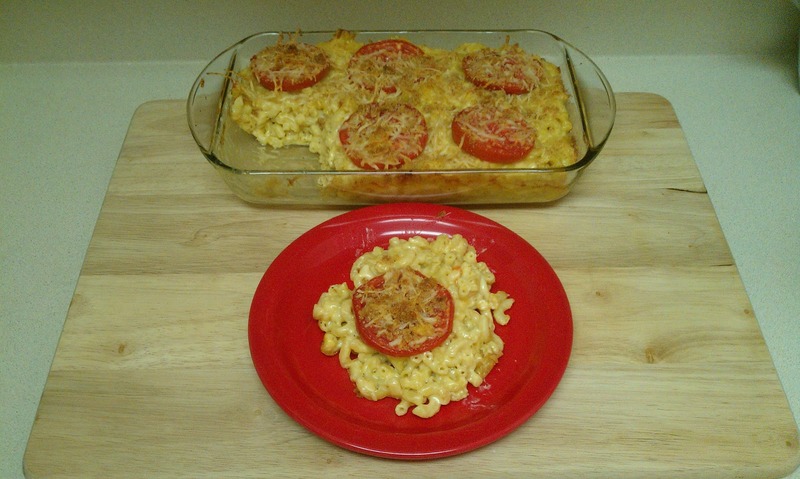 The photography's not very good in it, which makes all the recipes look really, really unappetizing. Then there are things like the Chicken with Roasted Vegetables recipe, which is. . .exactly what it sounds like. I was going through this book Tuesday looking for something else to make after my Spaghetti Squash pseudo-fiasco. 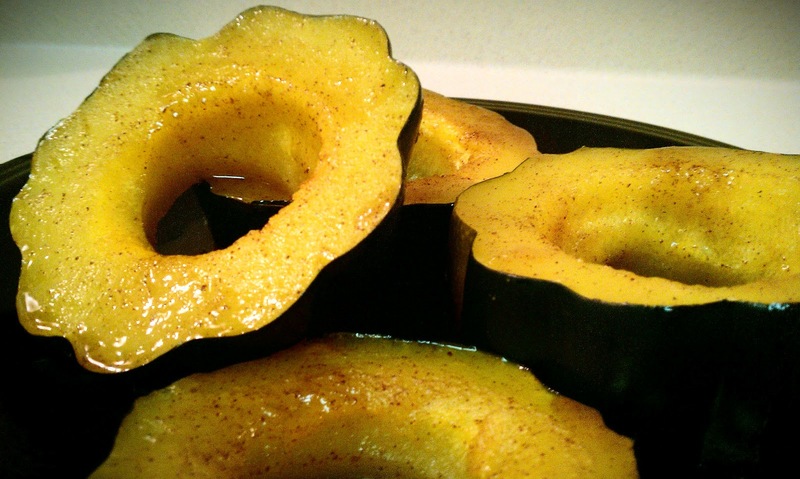 I went through it a few times until I came across this recipe for Glazed Maple Acorn Squash. 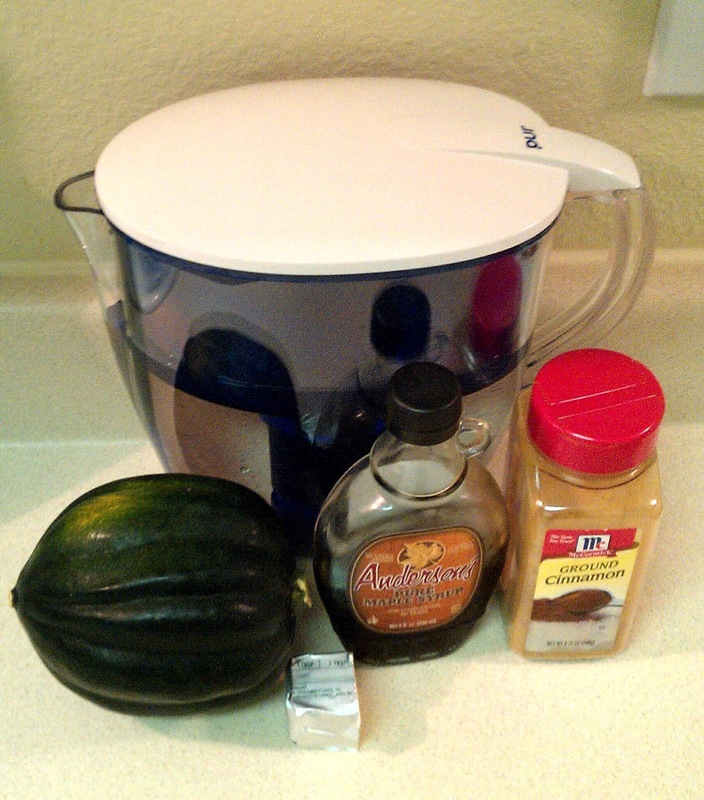 "I could use a different kind of squash," I told Dennis, "and make this one." He glanced at the recipe and said, "You have some of those in the fridge." God bless the CSA box. I DID have a couple of acorn squash (squashes?) and made this with dinner that night. The consensus? I loved it. Loved it. Dennis liked it, but would have liked it better if it was sweeter. I pointed out that it was a diabetic cookbook, and he reminded me that most of the recipes in the book have approximately a million carbohydrates in them. Touché. 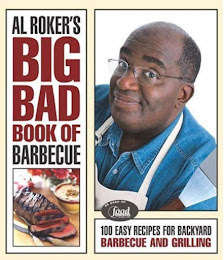 The actual title of this cookbook should be (No) Diabetic (should ever do) Cooking (from this book). But this recipe is delicious. 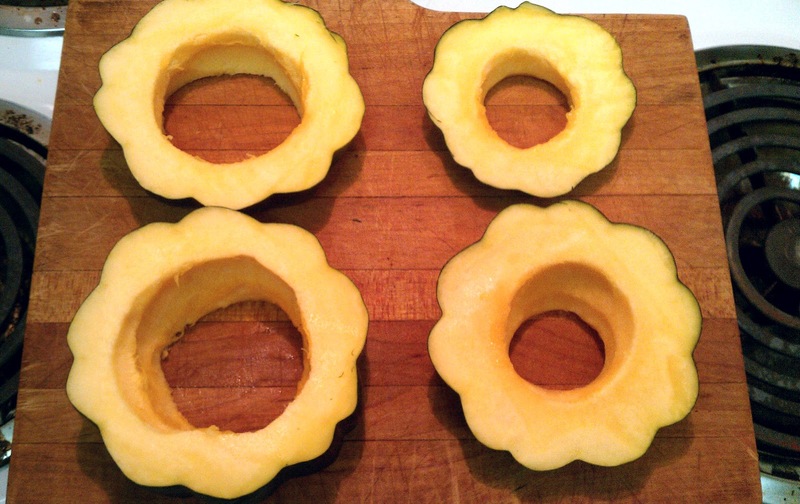 Cut ends from squash and slice into 4 equal slices. This was really hard for me to do, but that could be because I have a lousy knife. Scoop out seeds and membrane and discard. Pour water in baking dish and arrange squash in dish. Cover with foil and bake for 30 minutes. Combine the syrup, margarine, and cinnamon in small bowl. Mix well. Uncover squash and pour water out of the dish. Brush squash with the syrup mixture. Use whole bowl of mixture. Return to oven and bake for 7 more minutes. I'm sorry. I'm sorry I'm a lying liar who lies and I ignored everyone last week and said I was going to post, and then I didn't. But I'm back now, with a minor success. My mother-in-law gave me this book a couple of years ago. It seems it's a 3-in-1 cookbook, but I'm going to treat it as one just for time's sake. As you can see from the picture, it combines the books "Diabetic Recipes," "Diabetic Cooking for 1 or 2" and "Diabetic Desserts." I reached my 24-year anniversary with Type 1 diabetes this past Saturday, and with that wealth of knowledge, I can tell you that a lot of times, diabetic desserts just aren't that good. That doesn't mean I won't try one, but I've not had much luck with them through the years. There is nothing even vaguely spaghetti-like about that right there. I'm not entirely sure what happened, but luckily, we had some angel hair pasta in the cabinet, and I used that instead. It was awesome. I also made my Caesar salad and that went really well with it. 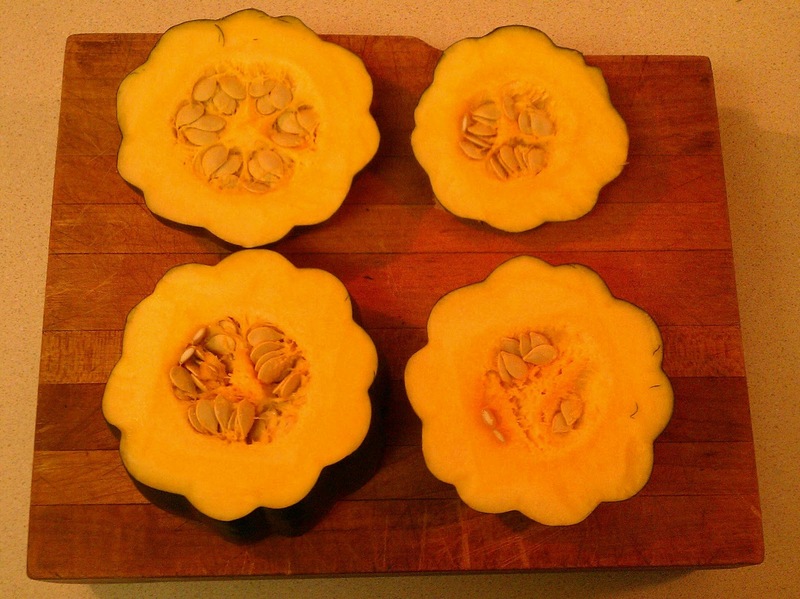 According to the cookbook, which lies, to cook the spaghetti squash, cut the squash in half lengthwise and remove and discard seeds. Then place the squash, cut side down, in a baking dish sprayed with nonstick cooking spray. Bake at 350°F for 45 minutes to 1 hour until tender, then remove the spaghetti-like strands using a fork. If that fails, prepare pasta according to directions on package. Heat 2 tbl. oil in medium skillet over medium heat. Add the zucchini, carrot, garlic, and sprinkle with desired amount of onion powder. Sauteé for 6 to 7 minutes. Add tomato and salt and pepper to taste. Sauteé another 3 minutes. If using pasta, drizzle desired amount of olive oil over servings. 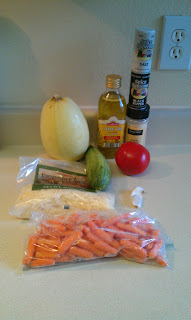 If not using pasta, you're a better spaghetti squash cooker than I am, and kudos. Tell me your method. 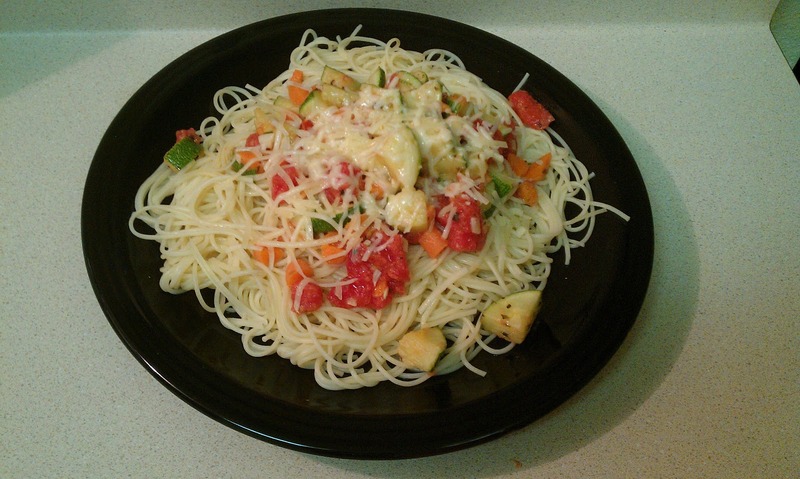 Serve vegetables over pasta or squash and top with cheese. 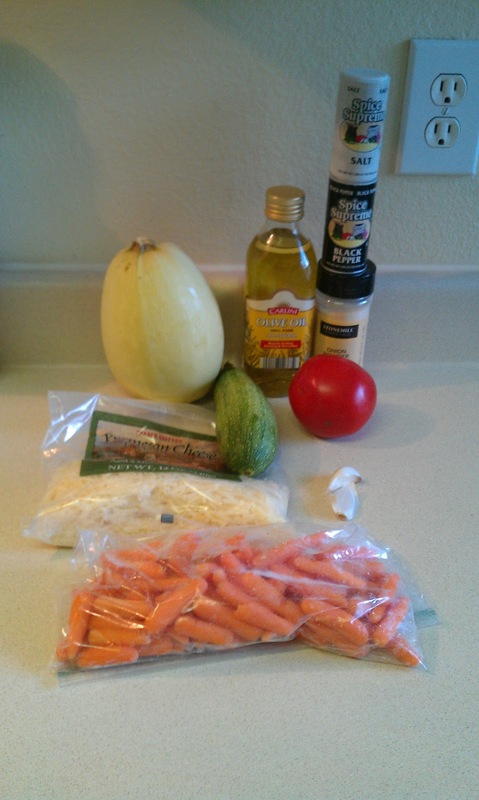 Obviously, the pasta version isn't as low-carb friendly as the squash version, but it was delicious. Even better with the salad. Oh Lord, you guys. Week 2 and I already fell behind. I'm not going to make a big deal about it, but I'm going to post my second recipe from last week this week, and then I'll catch up with a new cookbook this week. Not that it's any kind of excuse, but I had an INSANE week and weekend. We had a family gathering both Saturday and Sunday, and then my cousin and her husband were down and I made a non-cookbook chocolate cake and a non-cookbook dinner, and THEN I had to put together a cheeseball and my World Famous Pumpkin Stuff for the potluck on Sunday. Insane, I tell you. I'm here to make it up to you, though. 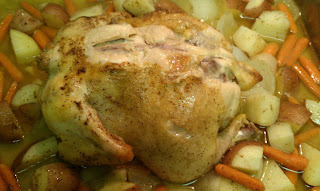 I've blogged about this chicken before in my old blog -- it's my absolute favorite "Oh my God, I have this whole chicken, what do I do with it?" recipe. The translation of the recipe name is "Roast Chicken for the Lazy." And it really is. If you're willing to stick your hands in a chicken and chop some veggies, you're good to go. So here it is. . .a fitting finale for the French cookbook. 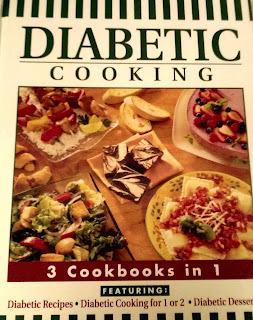 Next week (which is actually this week), I'm going to be diving into a diabetic cookbook my mother-in-law gave me. A few things to note. 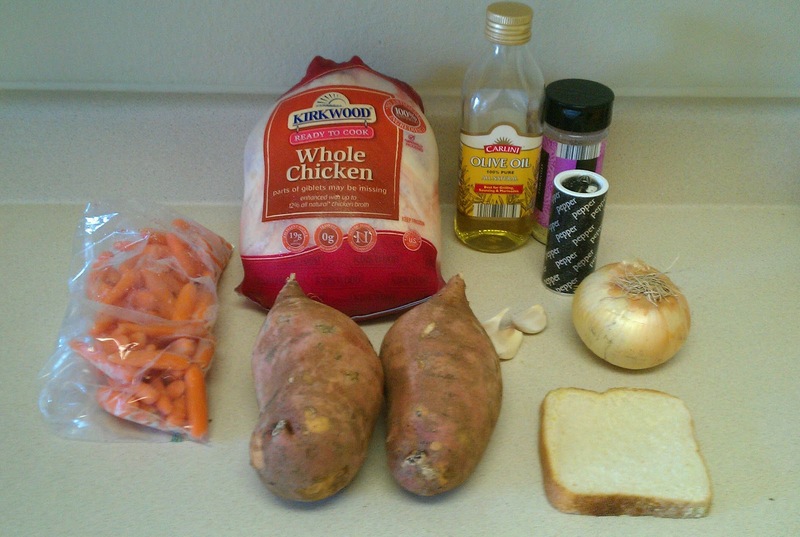 You'll notice that in that picture, there are no red potatoes and there is a random slice of bread. 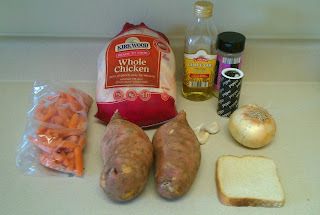 The bread is a little add-on to the chicken that, if it ever works for me again, I'll post the recipe for, because it really is delicious. In this case, though, I just ended up with soggy bread. As far as the potatoes go. . .I'm convinced I'm getting less smart with age, because I thought to myself, "Well, Sarah, you have regular potatoes to use up, so now would be a good time to do it." It would have been a good time. . .except those were sweet potatoes, not the white potatoes I'd anticipated. I took this picture and then started using everything, so there was no way to re-stage it, and I didn't realize the bread didn't work out until the end. So that's why the picture doesn't 100% match what I'm talking about. Rub the inside of a Dutch oven (or giant roasting pan, in my case) with olive oil. Season chicken inside and out with pepper and either garlic salt or salt. (You could also use garlic powder and salt if you wanted.) Place chicken in pot. Throw some garlic in it. Put other garlic and any herbs you might have lying around into the pot and pour over a few tablespoons of oil and water or wine, if you're using it. Cover in foil and place pot in the oven. (NOTE: You don't HAVE to cover the chicken in foil, but when I do, it's much more juicy than when I don't.) Roast for 45 minutes. 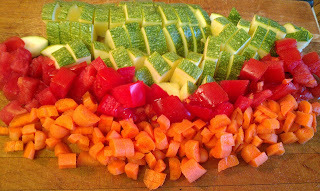 Toss the chopped vegetables in oil, salt, and pepper. After the chicken has roasted for 45 minutes, remove from oven and surround with the vegetables. Re-cover with foil and roast for another 45 minutes, for a total cooking time of 1.5 hours. Remove chicken from oven and let rest 5-10 minutes before carving. This is one of the best chicken recipes I've ever made in my life, hands down.